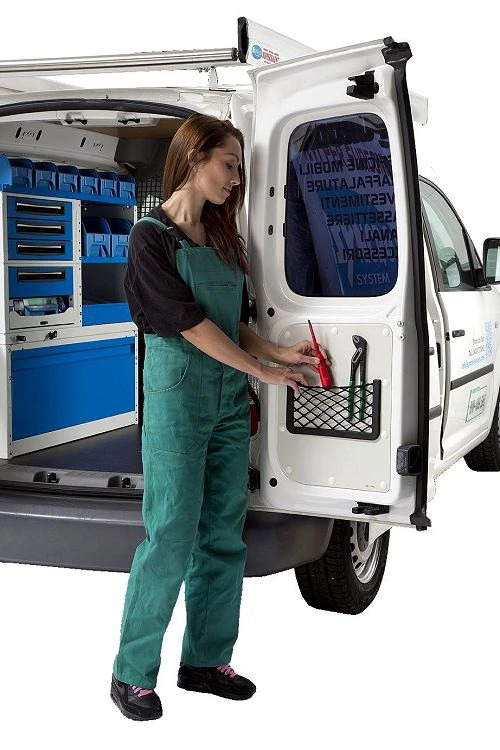 One of the latest accessories for your van from Syncro System: an elastic net for all-purpose storage. 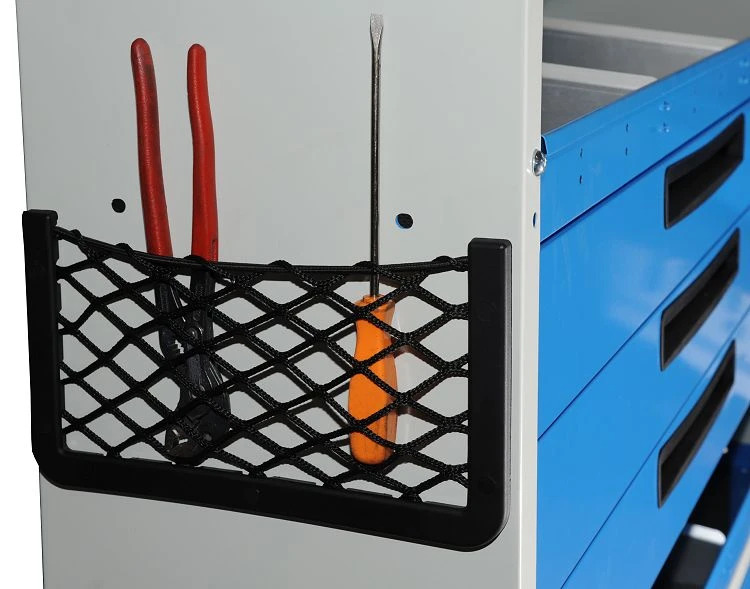 The new elastic storage net helps organize and securely store papers, items and small tools. 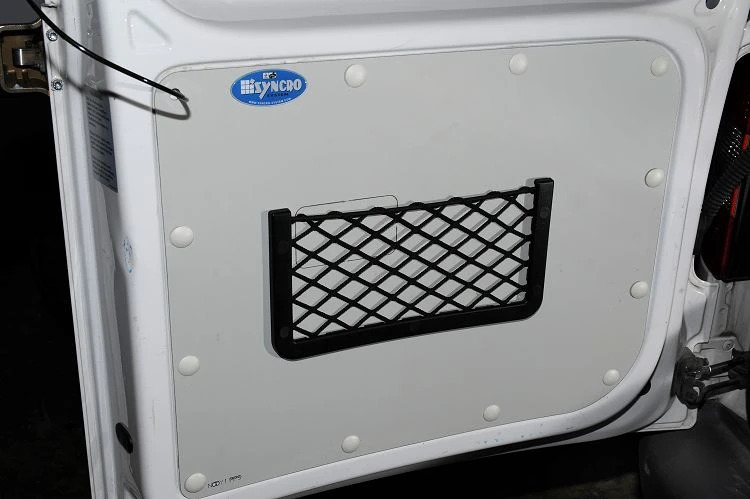 They can be mounted on the end panels of the racking units or directly to the body of the van or also to the metal protective paneling. They are made of a plastic frame with criss-crossing cords forming a net that has an elastic band at the top ensuring objects stay in place. 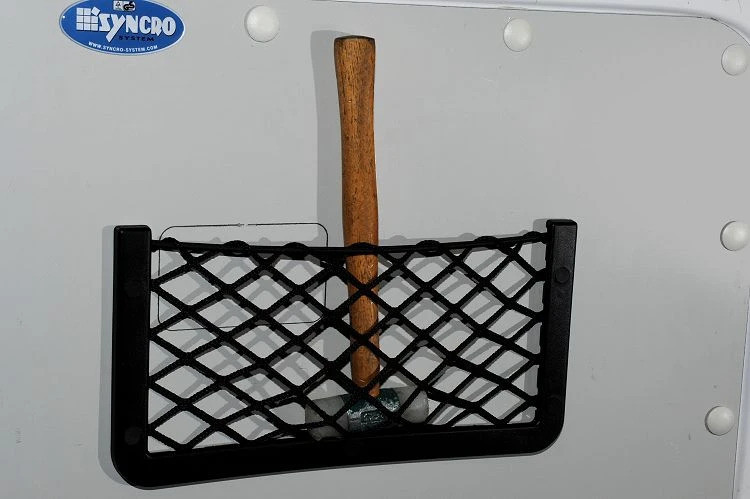 The net comes in two sizes: the shorter side is either 302 mm or 325 mm long – therefore they can be mounted on racking components measuring 310 mm, 353 mm or 410 mm. Because of the elastic band, any items placed in the net are immediately secured and easy to retrieve. In stock in all Syncro System locations.